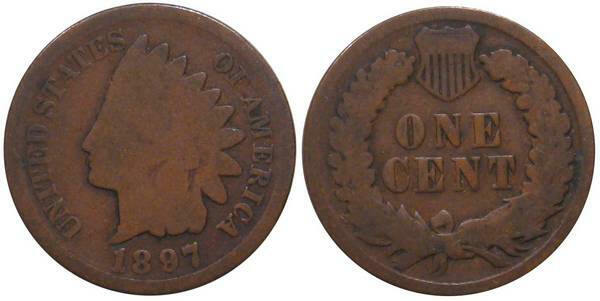 The Indian Head Cent below is a low grade coin (AG3 to G4). The design is worn, the rims are nearly worn away and the face is worn nearly flat. 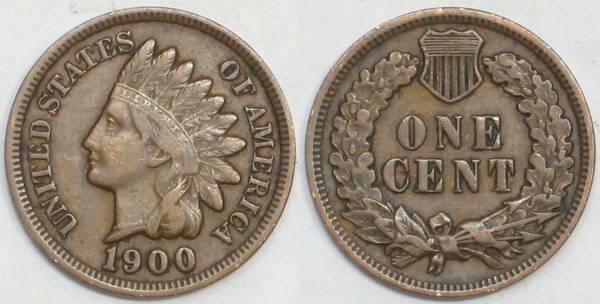 The Indian Head Cent below would be graded around VF. Note the word "Liberty" on the headband, details etc. I will offer more for coins in this condition or better. Please contact us to get a quote on your Indian Head Collection.